It is located in Vilankurichi Road, Ganapathi, Coimbatore. 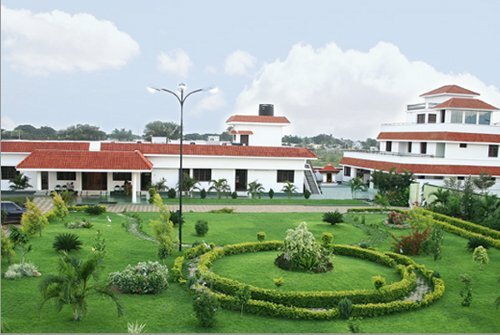 It is situated in the herbal garden surrounded by luscious landscape. The hospital is conveniently located in the heart of the city with perpetual serene atmosphere and tranquil ambience. It setup with all modern facilities that will propagate that ancient heritage of Ayurveda and help people to find solutions for their worrying health problems. The hospital aims it delivering the best cure and maximum benefits to all the severe chronic cases being taken up in the hospital. Set up primarily for the people of Coimbatore and Tamil Nadu, the hospital is catching the eye of many in other parts of India and abroad too. Many a time the hospital arranges for a free or concessional treatment to the poor and under privileged. 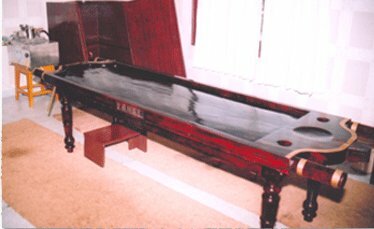 It follows a strict treatment based on the scientific principles of Ayurveda. Indian Ayurvedic Hospital offers treatments for a long list of ailments - chronic rheumatic arthritis, diabetes or even the much-feared Alzheimer's disease, Back Pain, Arthritis, Spondylosis, Disc Prolapse, Sinusitis, Migraine Stress/Hypertension etc,. And also offers Abhyangam, Sirodhara, Urovasthy, Urodhara, Nasyam, Pizhichil, Njavarakizhi, Udwarthanam, Kadivasthi, Sirovasthi, Kizhi. It offers special treatments like Rasachikitsa, Rasayanachikitsa and Vajeekaranachikitsa and Purification treatments – Vasti(Enema) – Kashaya Vasthi, Sneha Vasthi, Virechanam, Vamanam, Nasyam. We offer a range of ayurvedic treatments for all ailments and are given by experienced ayurvedic doctors and well trained ayurvedic therapists. Our doctors have experience in formulating various medications and treatment procedures for diseases like sciatica, rheumatic fever, hemiplegia, migraine, diabetic carbuncle etc, and saved limbs affected by gangrene in amputation stage. All treatments are rendered under the direct supervision of physicians. The panels of experts who take care of the technical wing of the hospital have a rich and varied experience in different branches of the system of medicine. 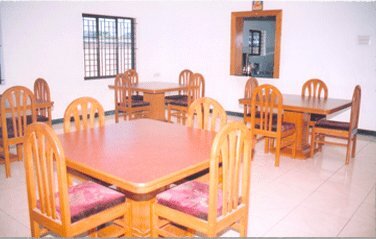 We provide hygienically maintained vegetarian canteen with dining in facility. 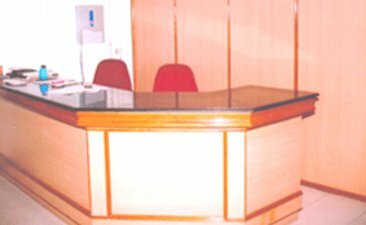 It provides A/C non A/C inpatient facility with guest/attendant accommodation. 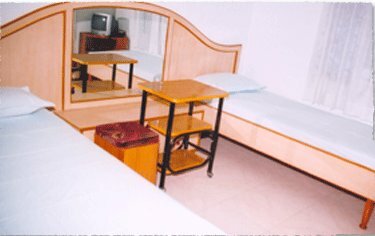 Well furnished AC and non AC rooms with telephone, TV and attached bath with running cold and hot water is provided. Abhyangam - Rs.750, Abhayangam with steam - Rs.900, Abhayangam, Steam, Head Massage - Rs.1000, Abhayangam, Steam, HM, Facial - Rs.1250, Head Massage - Rs.250, Padabhyangam - Rs.250, Ardhangam - Rs.500, Thakradhara - Rs.7000, Sirodhara - Rs.9000, Sirodhara / (Sirovasthi) - Rs.9000, Udhwarthanam - Rs.7000, Pizhichil (Sarvangadhara) - Rs.18900, Pizhichil (Sarvangadhara) - Rs.18900, Ardhakayadhara - Rs.12600, Kashayadhara (Danyamla Dhara) - Rs.9100, Podikizhi - Rs.5600, Podikizhi wet - Rs.7000, Elakizhi - Rs.7000, Muttakizhi - Rs.1100, Mamsakizhi - Rs.1500, Njavarakizhi - Rs.14000, Njavarathepu - Rs.10500, Kadivashi / Purovasthi -Rs.5250, Nasyam - Rs.300, Vamanam - Rs.1000, Virechanam - Rs.500, Mriduvirechanam - Rs.300, Mathravasthy - Rs.300, Mathravasthy Special - Rs.500, Kashayavasthy - Rs.1000, Snehavasthy - Rs.600, Vaidarnavasthi - Rs.750, Snehapanam - Rs.250, Mukhalepa - Rs.300, Lepam - Rs.300, Ekandhadhara - Rs.9800, Siro Pichu - Rs.400, Nalleeswedam - Rs.200, Nethradhara - Rs.200, Tharpanam - Rs.500, Upanaham - Rs.500, Oil Smear - Rs.200, Power Smear - Rs.200, Kadiavagaham - Rs.500 and Pachathalam - Rs.250. A/C Suite Single Occupancy - Rs.1250.00, A/C Suite Double Occupancy - Rs.1500.00, Non A/C Suite Single Occupancy - Rs.900.00, Non A/C Suite Double Occupancy - Rs.1100.00, Double Bedded room full occupancy - Rs.700.00, Double Bedded room Sharing - Rs.400.00 and Triple Bedded room Sharing - Rs.300.00. We work all working days and Sundays - 6am to 8pm. I have been charged more for all the treatments which is listed here and also in the web site. I have been charged more for all the treatments which is lis ..